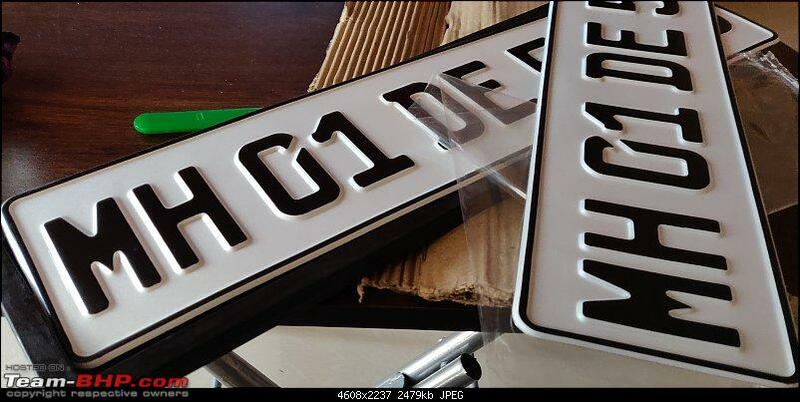 IND-style Number Plates : Movell, Orbiz etc. re: IND-style Number Plates : Movell, Orbiz etc. OT. 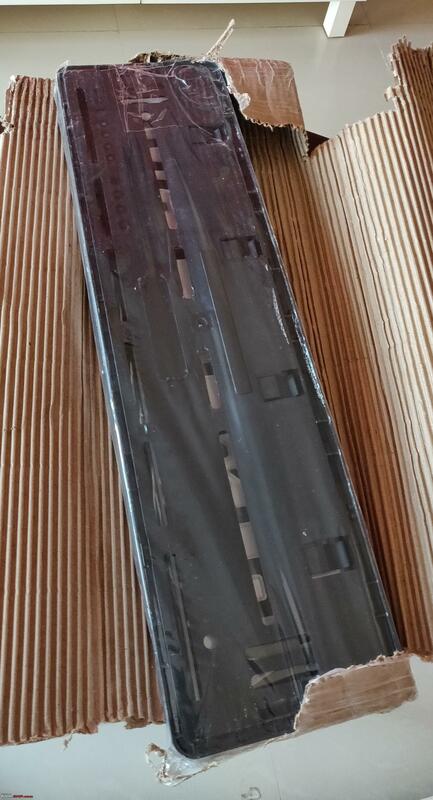 Of lately I have been seeing these gel plates on a lot of cars. 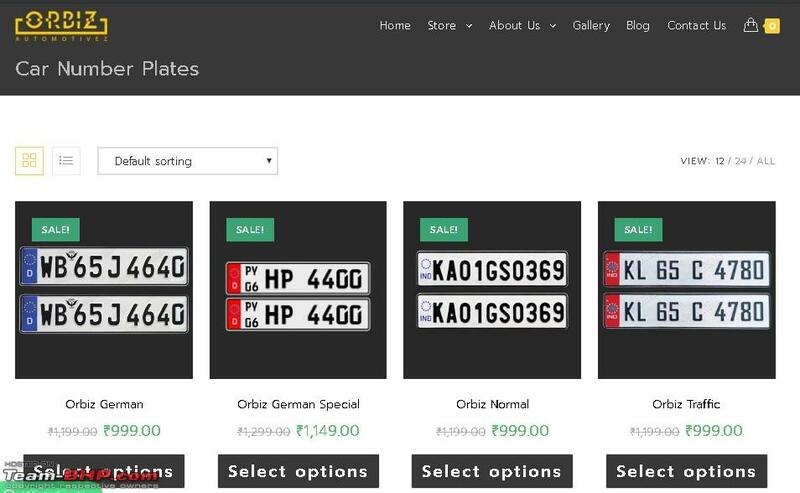 They do look good but I am not sure about spending 3.5k for a set of number plates. This looks like a good alternative to Movell. They do provide a pair of standard IND number plates as well for Rs. 1,000 and a pair of frames for Rs. 350. Last edited by sidpunjabi : 8th March 2019 at 16:50. I bought my plates + frames for 1300 all inclusive. I like all my cars to run on the same type plates. These are the Orbiz German type. Definitely not worth the risk. 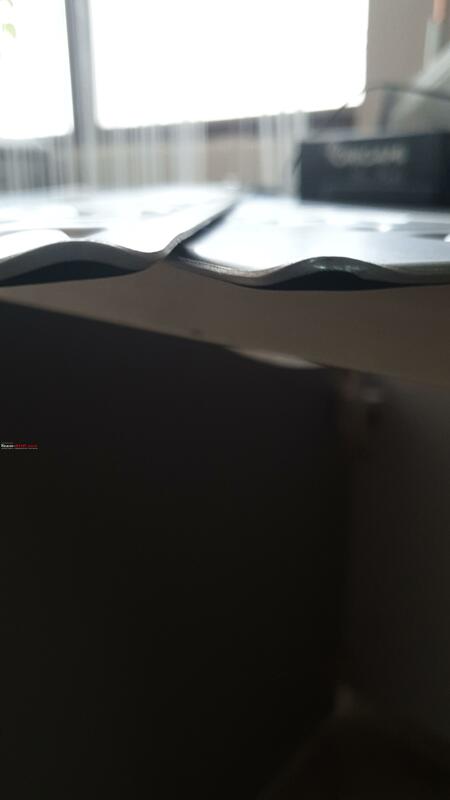 I would suggest you get a simple and cheap acrylic type of a plate for the time being and with regards to Movell I hope your plates arrive sooner than later. But looking at the state of their website, I doubt they would be able to recover to their full glory. OT. 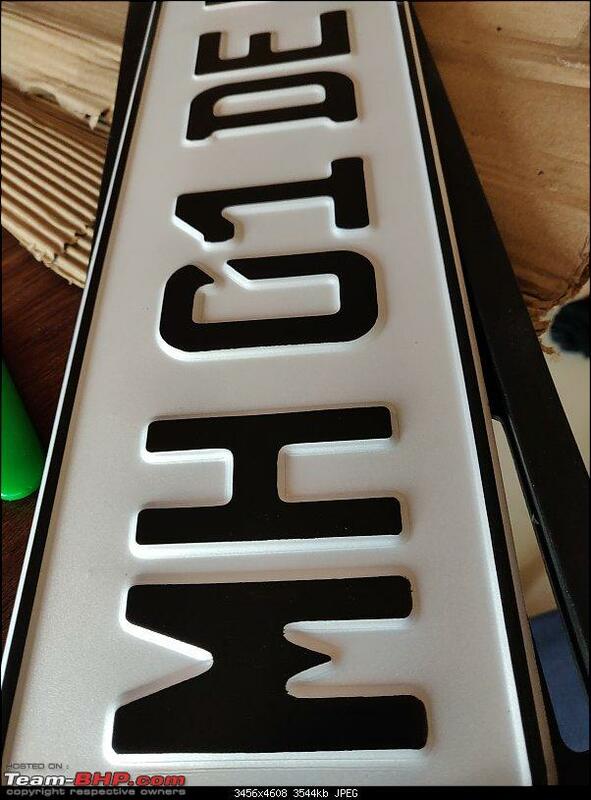 Of lately I have been seeing these gel plates on a lot of cars. I checked out the local shops yesterday and was surprised to see the pricing of really good looking embossed plates with the frames for 1k and opted for them since the acrylic ones were quoted at 500. They will take few days to come and I'm in no rush since the car won't be used at all till next weekend. I've given up on the hopes for Movell plates anytime soon but I do keep shooting emails every 2-3 days, hope it yields some results from either of them. I'll probably have a set of spare plates, if they do turn up someday. 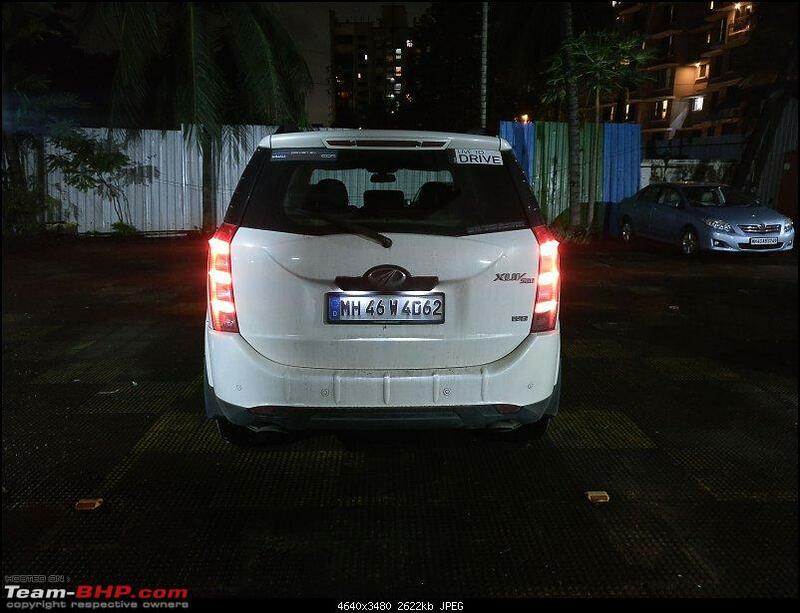 Those gel plates look nice, surprisingly I haven't noted it so far on Mumbai roads. Will consider these next time, hopefully the pricing reduces a bit though. Finally received the plates and frame after 16/17 days of ordering. I doubt if it was result of my frequent reminders to the courier guys or Movell but the courier just showed up one fine day. The unpleasant ordering experience aside, the product was well packed and looked good for the price paid. I installed the plates at a local shop and noted the frame locking mechanism appeared bit flimsy but it is holding good for now, after a long drive last weekend. If anyone is looking to buy from Movell, I would suggest ordering through Amazon instead as the prices are almost same, you may get some cashback/discount offers from Amazon but most importantly, Amazon staff can intervene in case of any inordinate delays. By the way, this was my 2nd order from them, despite that I am facing this issue. They aren't much interested in returning customers I suppose. Last edited by Funny : 26th March 2019 at 17:50. I've had really bad experience with Orbiz. I'd ordered a set of euro style plates and frames from them and had chosen same day delivery. 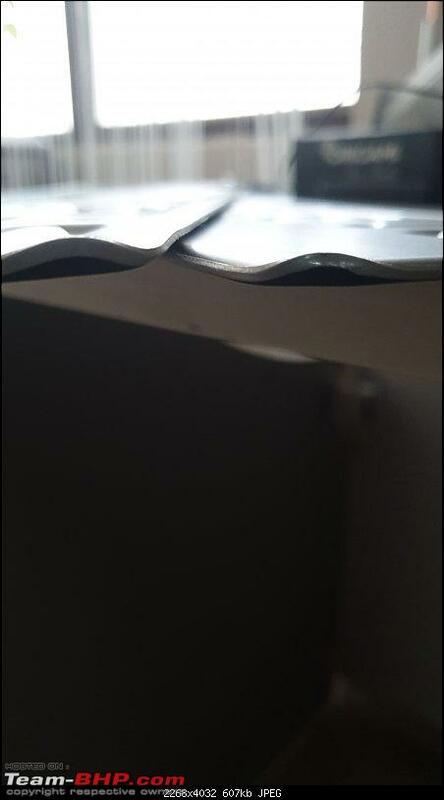 The plates arrived without any stickering which they had depicted on the site and also had a corner bent on both the plates. When on contacting the support they said I can have it straightened up myself; as if I never knew I could. The plates were really flimsy and nothing like the actual IND plates I've had before. They had also not shipped the frames along the same day and that took another two days to arrive while they kept informing it's out for delivery every day. digitalnirvana, OverKill, Rehaan, Samfromindia, The_Outsider! Same with me mate a month back. This weekend i will make a thread on my experience with Orbiz. 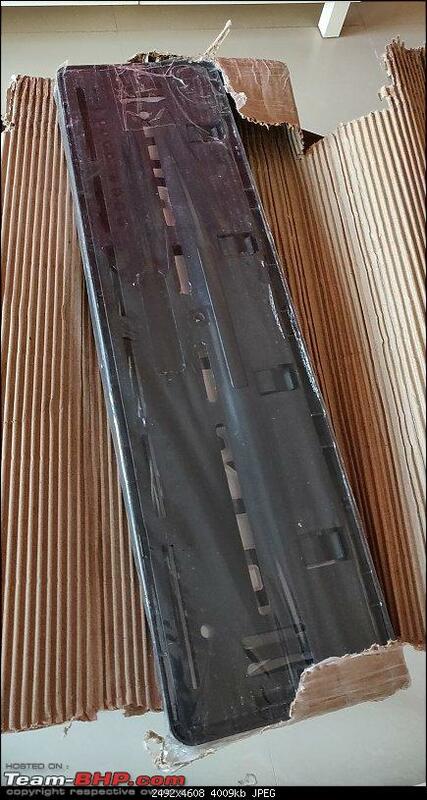 What's the advantage of having the plastic frame? Should I order one for my motorcycle? Quoting myself from 2 years ago, and sharing an experience. 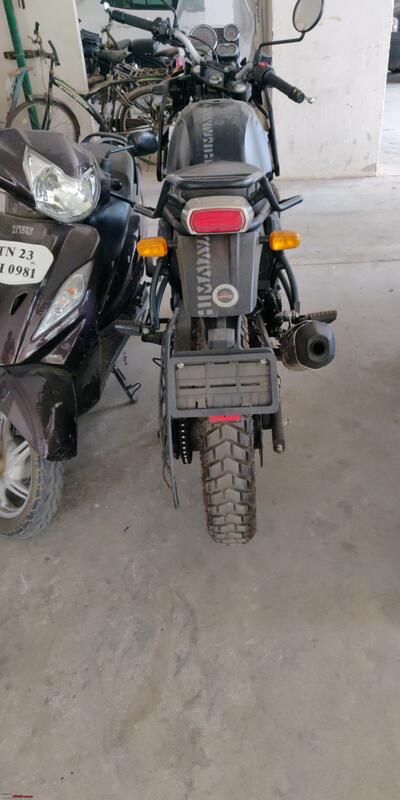 I have fixed number plates with frames on my Himalayan. During a long ride, the number plate fell off! 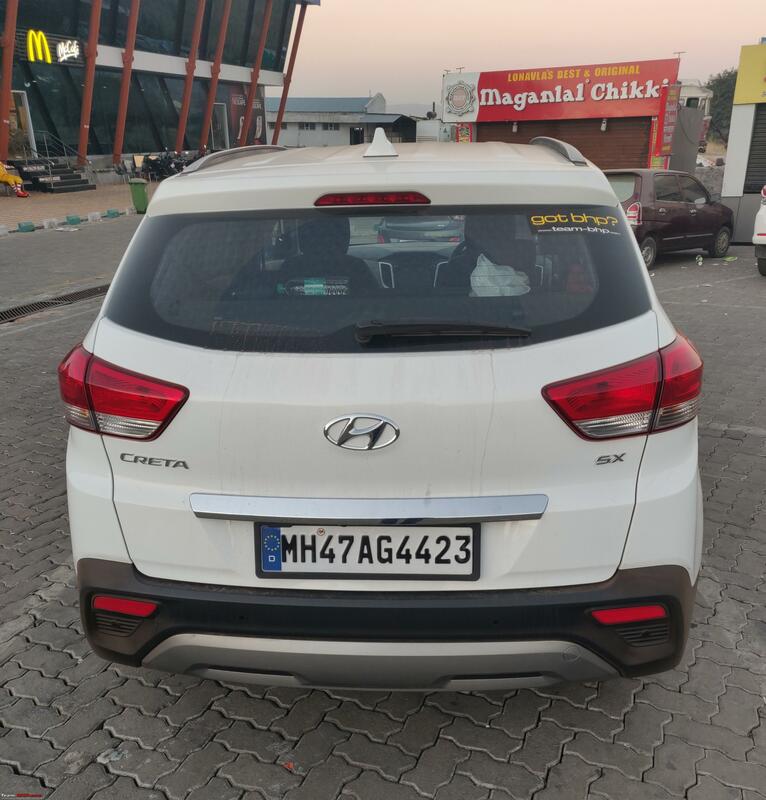 Ideally, the frame is bolted on to the number plate slot and the plate sits on it - and held in place by the outer frame which clicks into place at six places. The funny part is that the outer frame hasn't fallen off - it has come loose and the plate has escaped through the gap left by one or two 'clicks' working themselves loose! I ordered a replacement number plate alone on Orbiz - for 300/- bucks and the parcel reached me without any drama in 3-4 days. I'm thinking of fixing the new one by drilling holes on the plate and bolting the plate on, and covering it with the outer frame. Customer support seems to be non-existent, I would suggest others to be aware about the seller support and as suggested in the above post, ordering through Amazon or the likes are a safer bet than ordering from them directly. As expected I have got no response from them, so I ordered a set of frames from some seller on Amazon and have received it. I was skeptical about the fitting of the plates into the frames but it seems like it will fit in as expected. Anyway, I would suggest everyone to stay away from Movell unless you could go to their store physically for purchasing or if ordering from Amazon then they will take care of any issues. Stay away from Movell website as their customer support is pathetic to say the least. 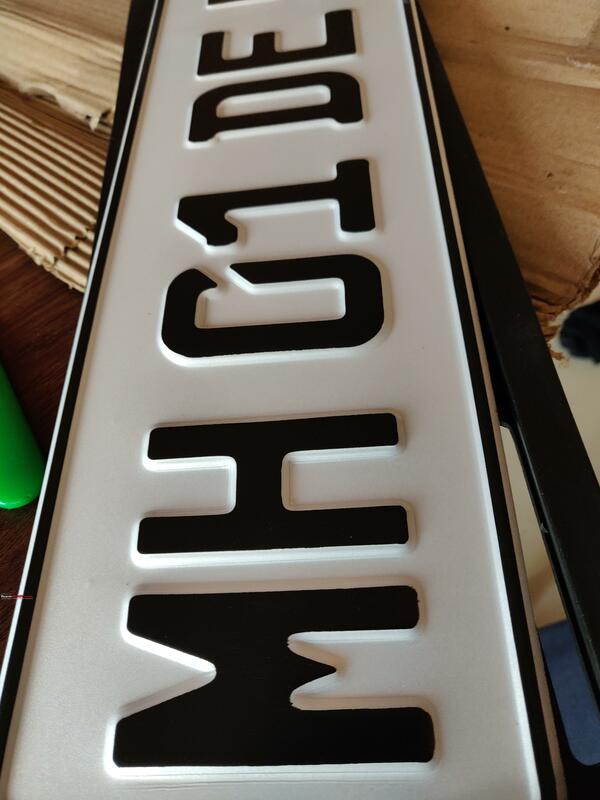 Recently ordered car number plates from Orbiz. Contact numbers given on their website are very unresponsive. Use 7902444646. Got the plates after ~1 week with close follow-up. They need to improve their customer response. 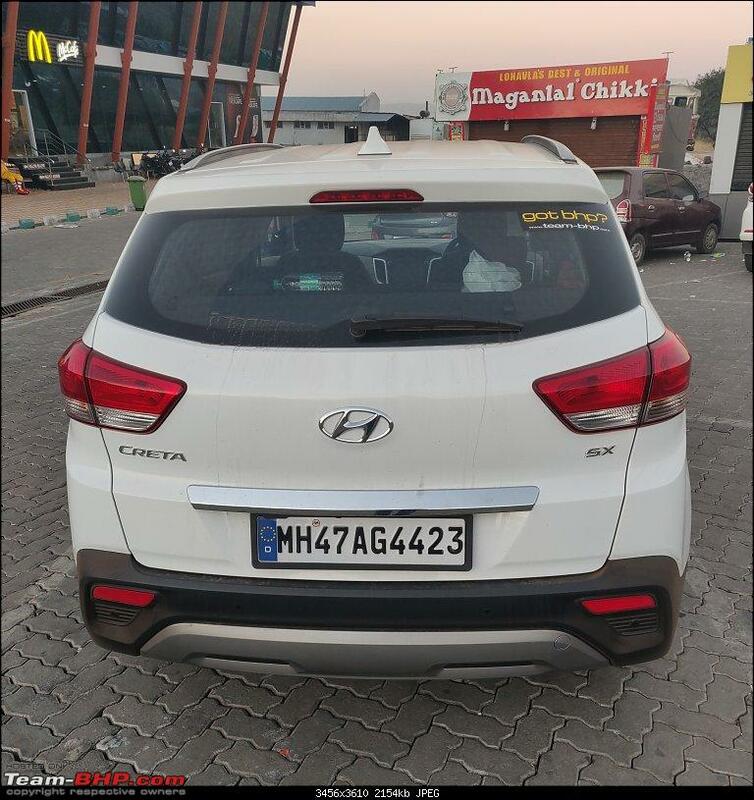 Number plates are very nice (Orbiz-German) but the frames are of very bad quality (Car Number Plate Frame - ₹349.00 ones). One of them had a cut at the center. Have asked them for replacement. Last edited by mkc15 : 12th April 2019 at 20:53. Since there was no dedicated thread for Orbiz Automotive and a few other BHPian's previously mentioned of creating a new thread for the same, I thought of going ahead with the idea, more so since I had one (bad) experience with them. 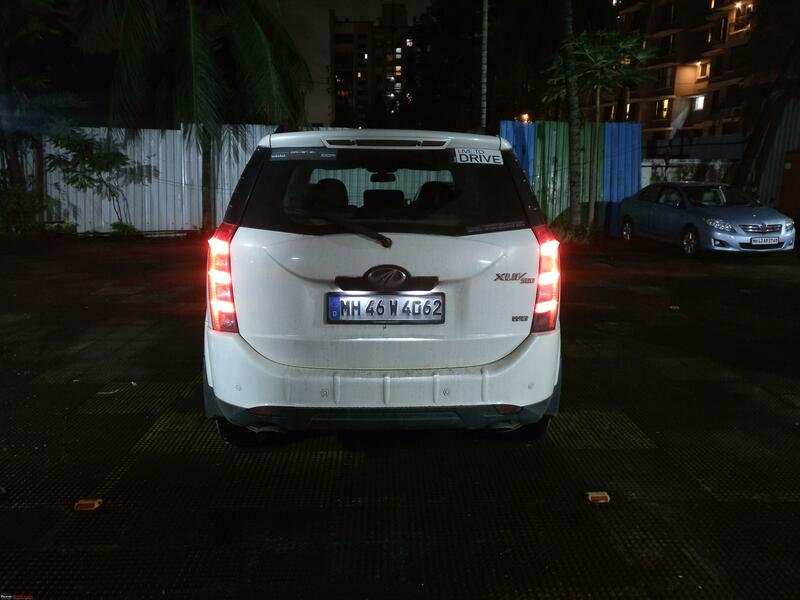 Sometime during the rains last year, I ventured out with my Creta and encountered heavy rainfall around Thane city during which the front number plate broke off while the screws were still in place. The number plate and it's frame managed to get stuck somewhere in the under-body and I came to know of it only half a km later when random people walking by started pointing out to to the lower part of my car. I parked on the side of the road and managed to take out both the plate and the frame. Luckily, I had my dealer fitted plates in the boot of the car so I fixed it as a temporary arrangement. I was looking to upgrade to new plates since then but didn't find anything nice. A few weeks ago, I happened to come across an Instagram sponsored post by Orbiz where they were giving 50% discount on their embossed plates (limited period offer that has expired now). 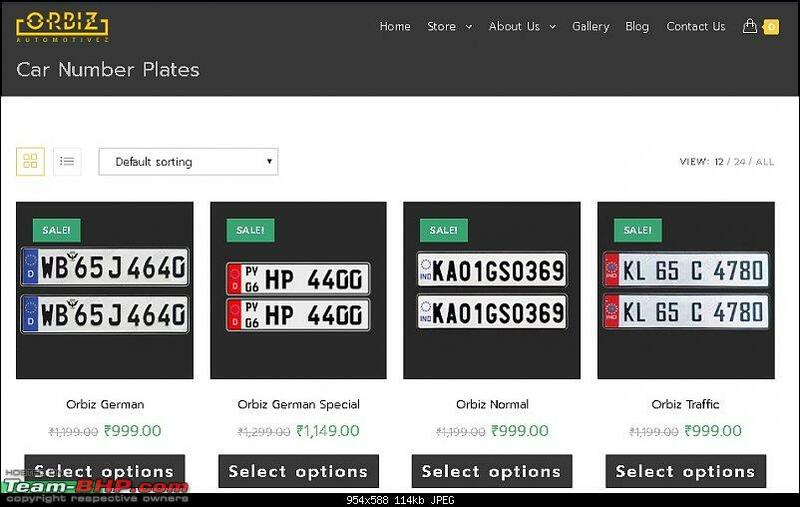 I usually prefer buying lcoally as online websites for the plates are a bit on the expensive side. Since there was a 50% discount, I thought why not consider them for a change (and how wrong I was!) I went to their website and finalized two designs that were to my liking. 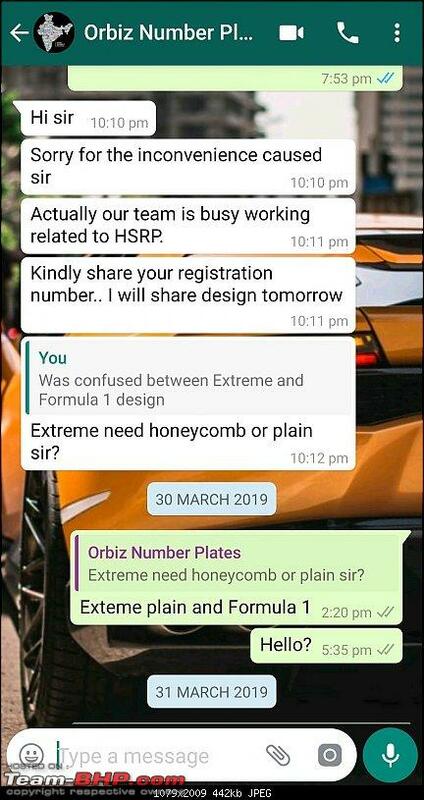 I wanted either the 'Extreme' or 'Formula 1' designs but was confused between both so decided to contact them on call to see if they could send me images of the same in case they had installed plates with these designs on a Creta. I called about six numbers that they had shared on their website, including three numbers of the Kerala branch and 3 numbers of the Bangalore branch. None of the calls were answered inspite of calling them on a Friday as well as a Monday. Next, I decided to send them a message on Whatsapp (business profile). 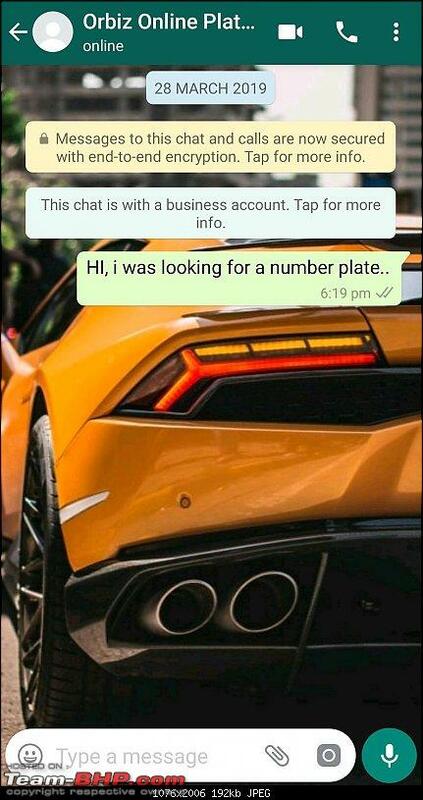 The person whom I was conversing with on Whatsapp didn't seem to understand my query for some odd reason so I decided to send a Whatsapp message to another one of their business registered numbers. This is when things went from bad to worse. I messaged the second number around 5 P.M. regarding my query and their was no response for a while so I sent them a message on Instagram thinking they might be more active on social media. During this conversation on Instagram, they had the cheek to tell me "We are busy with other work." (Add to this that they sent me a voice message for this, not even a text) and asked me to message on another Whatsapp business number owned by them. 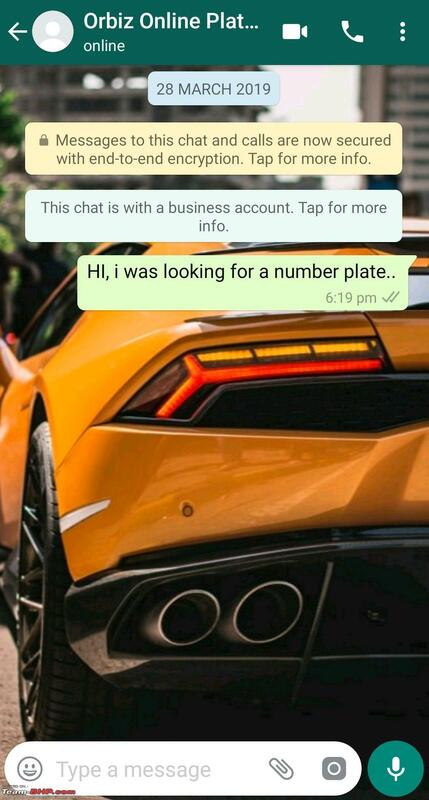 I did message them on the number in question and their was no response till I texted them again at 8 P.M. telling them that if they are not interested, I'll be glad to buy my plates from somewhere else. 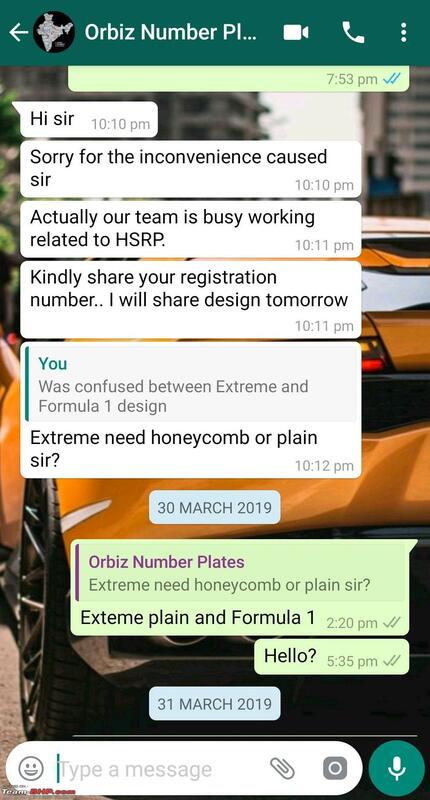 This guy messages me later at 10.30 P.M. saying that their team is busy working on something related to HSRP and that he will share the design (once I provide the registration number) by the next day. The next day, I message him my registration number and the name of the two designs I liked, but again; no response for the next two days. This is when I've lost my patience. There was also a third number which I messaged and that belongs to them, but I haven't received any response from them till date. In the end, I didn't deal with them and got my plates from another shop. This post is to enlighten fellow BHPians and other people who read the Team-BHP forum that you should think twice before dealing with Orbiz.in. If you ask me, I would never recommend this website to anyone. As GTO said in one of his recent posts, if one dealer is not interested in my business, I'll happily take my business to another dealer. My experiences with Orbiz have been really good so far. Have ordered a custom keychain and a replacement number plate from them. All communications have been over Whatsapp - they always have been prompt and proactive in replying. Products are good too. I have no doubt that you must have had a good experience with them. There would be good and bad experiences with each dealer, irrespective of the brand, commodity, etc. I had a bad one with Orbiz, and since there was no independent thread for this brand while there was one for Movell, I thought why not make a new thread this time. I apologize that I had not mentioned this earlier, but I have been through the aforementioned thread shared by you. There are both, positive and negative reviews of the said dealer, a majority of which I can see are on the negative side. I don't mean to start a debate or a poll to see what amount of people would or would not prefer dealing with Orbiz. I just wanted to highlight the issues I faced with them. After reading this post, fellow members and readers are free to decide whether or not they want to deal with Orbiz. Couldn't add screenshots last post due to some technical issues!